Enjoy Digital has been appointed by Cox Automotive, the world’s largest automotive service organisation. The Leeds agency has been handed a retained brief to provide retained digital marketing services following the development of a new corporate website. The new site, also created by Enjoy, lets automotive professionals find out more about Cox and its brands, including Manheim, Motors.co.uk and We Want Any Car. The agency is now set to implement integrated SEO, paid search, content marketing and online PR strategies to drive search volumes and lead generation. Enjoy has already worked for Cox's car and commercial vehicle brand, Manheim. 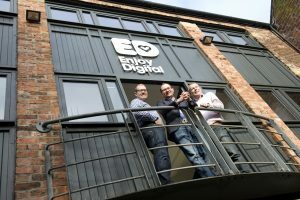 Enjoy Digital, which has a team of 45 based in Leeds, also works with the likes of Costcutter and Bank of Ireland.